AACAP Norbert and Charlotte Rieger Award for Scientific Achievement, 2003. Distinguished Fellow, American Psychiatric Association, 2007. Preschool PTSD Treatment listed in National Child Traumatic Stress Network database, 2012. AACAP Irving Phillips Award for Prevention, 2013. Preschool PTSD Treatment listed in California Evidence-Based Clearinghouse for Child Welfare (CEBC) website, 2013. National Institute of Mental Health and Administration for Children, Youth, and Families. Bethesda, MD, 1997. National Institute of Mental Health. Rockville, MD, 1999. National Institute of Mental Health and the Administration for Children and Families. Rockville, MD, 2003. University of Louisville School of Medicine, Department of Psychiatry and Behavioral Sciences in association with the Kentucky Psychiatric Medical Association. Louisville, KY, 2004. Georgetown University Center for Child and Human Development (webinar), 2004. Centro di Psichiatria dell’infanzia e dell’Adolescenza ASL Latina. Formia, Italy, 2005. Family Research Consortium IV, Second Annual Summer Institute. New Orleans, LA, 2005. The American Professional Society on the Abuse of Children, 13th Annual Colloquium. New Orleans, LA, 2005. Twenty-Fourth Annual UC Davis Western Regional Child Abuse and Neglect Conference. Sacramento, CA, 2005. Institute for Laboratory Animal Research, National Academy of Sciences. Washington, DC, 2006. Tenth Annual Taghi Modaressi Center for Infant Study Lecture. University of Maryland, Baltimore, MD, 2007. Georgia Psychiatric Physicians Association. Atlanta, GA, 2008. 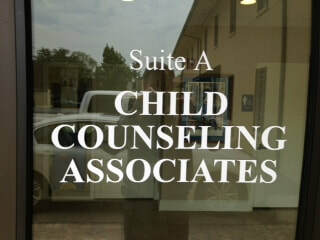 Division of Child Mental Health Services. Dover, DE, 2008. Dartmouth University Department of Psychiatry Grand Rounds. Lebanon, NH, 2008. Philadelphia Compact, the City of Philadelphia., Philadelphia, PA, 2008. Australasian Conference on Traumatic Stress. Perth, Australia, 2012. American Academy of Child & Adolescent Psychiatry 2013 Psychopharmacology Update Institute. Washington, D.C, 2013. Child Welfare League of American National Conference. Washington, D.C, 2013. National Center for Child Traumatic Stress Network (webinar), 2013. National Child Traumatic Stress Network (webinar), 2014. Adventist Health Care and Medstar Georgetown University Hospital, Gaithersburg, MD, 2015. National Association of Academic Psychiatry Administrators, New Orleans, LA, 2015. Douglas B. Hansen, MD Annual Review Course. American Academy of Child & Adolescent Psychiatry, New Orleans, LA 2017. Dr. Scheeringa founded Child Counseling Associates, LLC in 2012, a private practice clinic where he conducts his research and sees patients. Click on the link below. 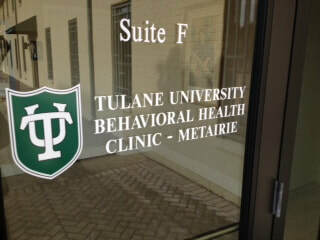 Dr. Scheeringa also founded and directs the Tulane University Behavioral Health Clinic - Metairie, which is a private practice-model clinic for adult patients. Click on the link below. Dr. Scheeringa founded the Kid Catch Foundation in 2012, a non-profit foundation committed to better access to quality mental health care for children. The Foundation maintains a free, one-of-a-kind searchable database for pediatricians and families to find providers. Click on the link below.